DLT to manage entire public sector business channel for Autodesk. HERNDON VA. (February 12, 2019) - DLT Solutions, the premier government solutions aggregator, announced today its new position as Autodesk’s Master Government Aggregator. DLT will manage all Autodesk government business transacted through the Value-Added Reseller (VAR) and the Direct Market Reseller (DMR) partners in the United States. As Autodesk’s Master Government Aggregator, DLT is delivering on its mission of accelerating public sector growth for technology companies," said DLT President, Brian Strosser. "By leveraging our robust public sector infrastructure and core value services, DLT will increase revenue growth for Autodesk and optimize the public sector channel. DLT will equip government agencies with the Autodesk design and engineering tools they need to address critical challenges, including aging infrastructure and the increasing demands on public services." For more than 25 years, DLT has been providing government agencies with Autodesk solutions that help users imagine, design, and make a better world. From 3D building design to energy audits and advanced manufacturing, Autodesk software provides the capabilities government agencies need to accomplish their missions. "When Autodesk decided to shift to a channel aggregation model for our U.S. government business, we were excited for DLT to be the Master Government Aggregator," said Autodesk Vice President, Americas Territory Sales, Pete Baxter. "With DLT’s leadership, we are confident that the public sector will be able to implement Autodesk design solutions." 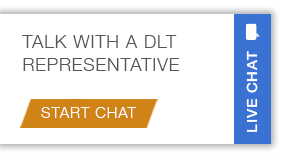 To learn more about how DLT is aggregating public sector business for technology companies including Amazon Web Services, Solarwinds, and Quest, please visit www.dlt.com/. For the latest digital design news in government, visit www.govdesignhub.com/. Established in 1991, DLT accelerates public sector growth for technology companies in the federal, state and local, education, utilities and healthcare markets. As the premier government solutions aggregator, DLT creates value for technology companies by enabling their public sector customers to make smarter technology choices. We provide access to a robust network of partners, a broad portfolio of over 40 in-house contract vehicles, and dedicated channel enablement services. Autodesk is a registered trademark of Autodesk, Inc., in the USA and/or other countries. All other brand names, product names, or trademarks belong to their respective holders.